WORLD OF FINAL FANTASYCATCH, CUSTOMIZE AND DEVELOP! 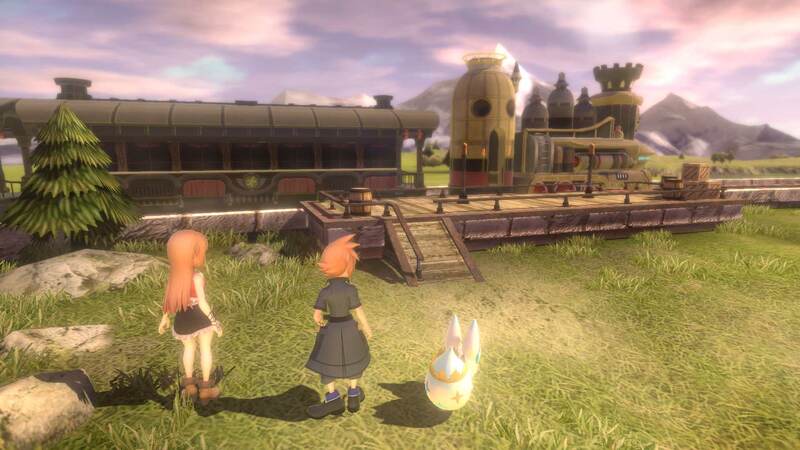 Embark on a magical journey with siblings Reynn and Lann as they explore the sprawling landscapes of Grymoire to rediscover their past and save the future. In magical and stylized graphics, players will catch, customize and evolve iconic creatures by stacking them into strategic monster towers. The memorable legends of FINAL FANTASY come to life in this imaginative and colorful world as an epic story unfolds for the tiniest of heroes. A New Interpretation of Classic Combat: Master a whole new combat system where players can use the captured monsters to build powerful battle piles. Use the size, element and order of the monsters to effectively win the fight! Catch, Customize, and Develop: Develop strategies to endless customization options by turning creatures into Maginite, boosting skills, increasing their levels, or developing them for new specializations. Or just ride on them to travel faster through the sprawling landscapes of this enchanting world. A world of vertical possibilities: Dive into vertically stacked dungeons and use creatures’ skills and maginite effects to overcome obstacles and move forward. In this world of stacked objects you have no limits!